If I have hear this said once I must have heard it a thousand times. Yes its true and I am sad to say I am one of them. We have to admit that our actions do not always match our beliefs. But sometimes we are maybe to ready to accept it. 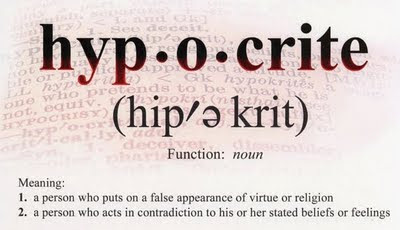 We can concede to our hypocrisy just that little to quick. Maybe I am just looking for an easy way out to justify or excuse my sloppiness. God does not let me off that easy.